Gore Verbinski's atmospheric psychological chiller poses many big questions about the human condition and answers only a few of them in its bloated running time. It instead chooses to jump off the deep end with a barmy conclusion that rifles through themes and visuals from the classics of Universal Horror. Though it embraces the ridiculous in its final throes, there's much to admire about this ambitious examination of society written by Verbinski and Justin Haythe, and its stance on the unrelenting 'worker bee' culture that is rewarded with riches and punished with loneliness. It also effectively probes the consequences of childhood trauma and nails the sensation of helplessness during a particularly distressing drowning sequence. 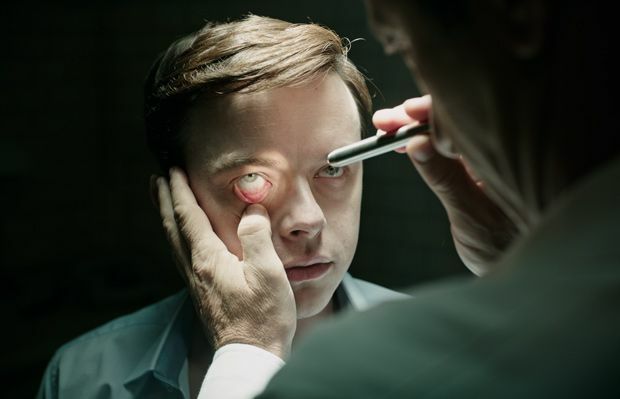 Dane DeHaan stars as Lockhart, an arrogant young executive sent to a wellness centre in the Swiss Alps to retrieve the CEO of his company. However, when he arrives at his destination it's clear something isn't quite right. The creepy castle atop a mountain is inhabited by a wealthy older crowd who continually imbibe the tap water as advised by head doctor Volmer (Jason Isaacs). When Lockhart attempts to flee the grounds he is involved in a car accident that brings him back to the hospital as a patient. A spooky Mia Goth enticingly floats around the premises as the innocent Hannah, and Celia Imrie does great work as a befuddled patient desperately trying to solve puzzles. The similarities to Shutter Island are too great to ignore, with Lockhart's erosion of confidence and growth in confusion and distress the longer he pokes around the clinical setting reflected in the way Verbinski feeds perplexing information to the audience. The startling, nightmarish imagery includes oodles of phallic eels thrashing about, painful to watch dentistry scenes and creepy nurses akin to those who stalked the corridors of Lucile Hadzihalilovic's Evolution, resulting in a gorgeously grim and hypnotic viewing experience. General release from Fri 24 Feb.